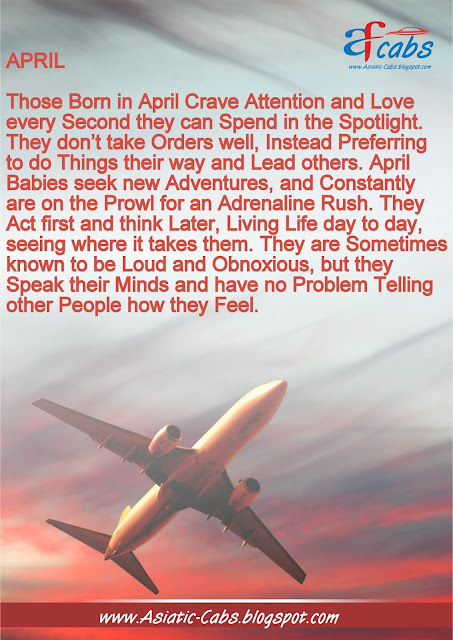 Those Born in April Crave Attention and Love every Second they can Spend in the Spotlight. They don’t take Orders well, Instead Preferring to do Things their way and Lead others. April Babies seek new Adventures, and Constantly are on the Prowl for an Adrenaline Rush. They Act first and think Later, Living Life day to day, seeing where it takes them. They are Sometimes known to be Loud and bnoxious, but they Speak their Minds and have no Problem Telling other People how they Feel.